The All Party Parliamentary Group (APPG) on Faith and Society, chaired by Stephen Timms MP, including Jim Dobbin MP, Sir Peter Bottomley MP, Baroness Kathleen Richardson and Lord Sheikh visited Birmingham to explore how faith based initiatives are promoting wellbeing and providing services in the City. The delegation visited local faith centres including Birmingham Central Mosque, Central Synagogue and Guru Nanak Nishkam Sewak Jatha (GNNSJ) Gurudwara (Handsworth) meeting with faith leaders and City Council members to discuss the impact of faith on the City and the City’s growing number of faith initiatives. 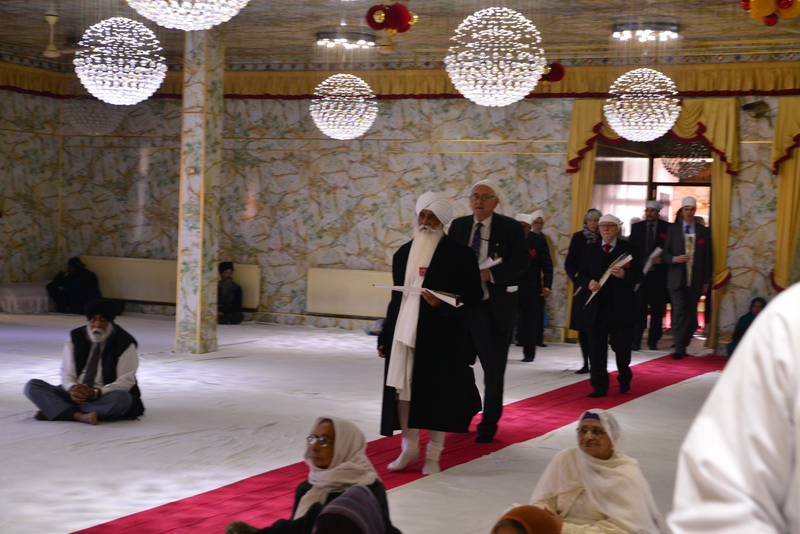 The visit to GNNSJ and the Nishkam campus included a tour of the ‘Nishkam Centres of Excellence’, that began with a humble presentation of bouquets by the guests to Guru Granth Sahib Ji, the eternal Guru and scripture of the Sikhs. This was followed by a visit to the Guru’s Kitchen, where over one million free vegetarian meals are prepared and served every year to visitors by volunteers. The esteemed guests toured the faith inspired community cooperative for economic development (Marg Sat Santokh Ltd) before visiting the renowned new free school, Nishkam Primary School and then made a final stop at the Nishkam Centre to meet representatives from faith-based organisations, to explore their experiences and innovative contributions across the City. 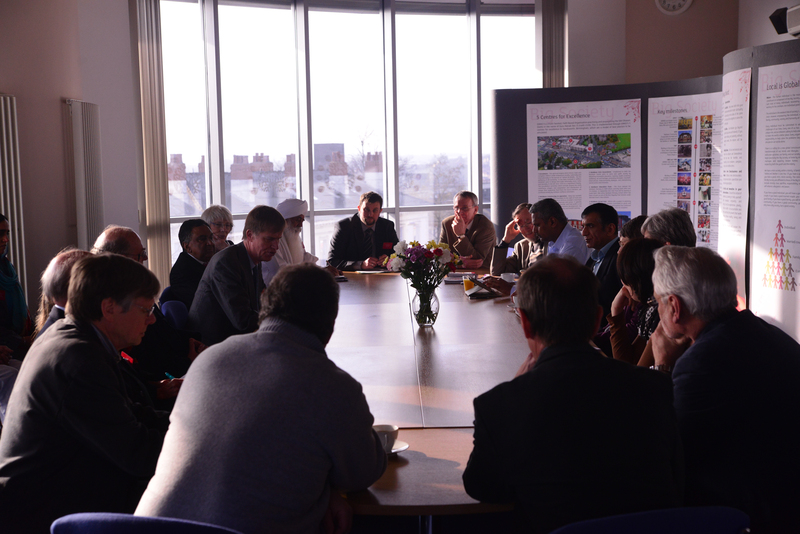 The meeting included a discussion for organisations to identify barriers they face, whilst reflecting on the progress Faith Based Organisations (FBO) had made in creating interfaith harmony and community cohesion. Stephen Timms MP said: “We were looking for ideas today and we found some good inspiration for our work in the next few months. I was very impressed by the Nishkam Primary School, I thought that was beautiful. The emphasis on teaching values to young children at the beginning of their school life is very valuable and impressive. Lord Sheikh went on to comment: “I was most impressed by how work is being done on the ground level amongst the community, which is appreciated. The Nishkam Centre is a role model and perhaps, others can follow what has been done here. Bhai Sahib Dr Mohinder Singh reminded all about the significance of partnership working and a unified faith inspired approach. He said: “We have to restore the dignity and honour of religion back again in the 21st century, you cannot park religion away. 75% of the 7 billion people across the world are directly or indirectly involved in religion or in faith. If you have faith, it means you have trust. If you have trust, you have hope. Daniel Singleton, National Executive Director of FaithAction, the secretariat for the APPG said: ‘We are delighted to support the APPG, we hope that though this group we can raise awareness of the fantastic work of faith based organisations that we at FaithAction witness on a daily basis. The whole event today was superb and the Nishkam team role modelled for us all what faith in action is all about’. 1. The Nishkam Civic Association, more fondly known as the Nishkam Centre is one of the five Centres for Excellence created by the faith-based charity, Guru Nanak Nishkam Sewak Jatha. Chaired by Bhai Sahib Dr Mohinder Singh, who holds two honorary degrees from the city’s universities, it aims to serve and uplift society through the practice of core values – nishkamta, or the spirit of selflessness, being one of them. Inspired by spirituality, the organisation has generated a flourishing culture of volunteering, which has contributed immensely to transform its visionary projects into a reality. 2. 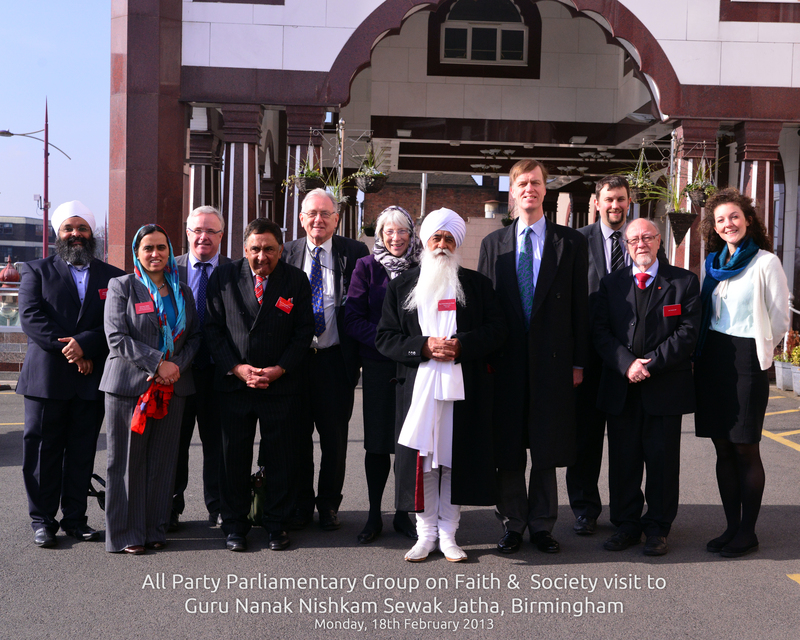 The All Party Parliamentary Group on Faith and Society was established in 2012 to explore the practical contribution that faith makes to society through the work of faith based organisations, identify best practice and promote understanding of the groups providing innovative solutions around the country. It aims to draw attention to the way faith-based initiatives are working effectively to serve the most vulnerable members of their communities. A growing movement of faith based social activism is making itself felt in the UK in a huge range of projects – youth work, employment support, food banks, debt counselling – and overseas with fair trade, banks for the un-bankable and health initiatives on a large scale.